If you would like to commission a painting for your childs bedroom please email me through the art2arts website giving as much detail as you can about a specific painting you would like me to paint and I will do my best to create a bespoke painting of your requirements. 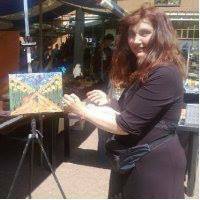 I will then pop it on the art2arts website and if you are happy with the end result then you can go ahead and buy the painting. If you are not happy with the result there is no obligation to purchase the painting. The painting will be painted on a box canvas which can be hung on the wall without the need to frame. The size of the painting for the price quoted below will be either 16" high by 20" wide or 20" high by 16" wide.